The announcement created a ripple effect across the world of digital advertising, with other big names like Facebook and Twitter quickly following suit to ban crypto-related ads. Why has the ban been a good thing? At CoinCorner, we were spending more than half of our monthly marketing budget on Search Engine Marketing alone, so when the announcement came, it was disappointing, especially as we have been loyal customers of Google for four years and because so many customers choose to follow advertising links when searching for cryptocurrency services. But, after the initial disappointment subsided, we realised that regardless of the impact on crypto businesses, Google’s move was sensible and we respect it as a decision. We saw the potential for the positive change it could bring to the crypto industry and also as an opportunity to find alternative ways to engage with potential customers. We recently ran a successful marketing campaign, advertising across the London Underground and in Flybe’s on-board magazine, Flight Time, both of which were very well received and have provided useful insight into traditional advertising in the crypto industry. Cryptocurrencies have been under the global spotlight since the price of Bitcoin hit $20,000 in December 2017 - an increase of nearly 2000% in less than 12 months. With rapid growth and new interest, the industry has been forced to progress at an even faster-pace than before. As often happens in an emerging industry, new interest doesn’t always come from consumers, rather it comes from less legitimate players often looking to get rich quickly by offering unreliable “too good to be true” services. In the last 12 months, we’ve seen hundreds of fraudulent companies pop up and use the likes of Google, Facebook and Twitter to promote shady new cryptocurrencies and exchanges - all with the aim of defrauding customers. As a result of Google’s crypto ban, we hope to begin seeing a long-term positive effect in the number of misleading crypto ads being reduced. The proliferation of these adverts has been damaging towards the industry for many months and has contributed misinformation and confusion. Over the past few months, there’s been a lot of online discussion about whether Google’s ban is fair. Legitimate businesses like ourselves have been unfortunately caught in the crossfire, but we recognise that short-term tightening of advertising is an important measure while the process of filtering quality services from the chaff takes place. In terms of consumer protection, we would like to see Google relax its ban in a similar way to Facebook. “So starting June 26, we’ll be updating our policy to allow ads that promote cryptocurrency and related content from pre-approved advertisers. Crypto businesses must now apply to have their ad account certified before they can advertise with Facebook. As Google’s ban progresses, it would be helpful to see them respond like this - to find a way to manage promotion of trustworthy advertisers and re-introduce this search avenue to consumers. Why were crypto exchange adverts still being shown in late July? Late last month, Reddit users began asking if Google had relaxed its ban after adverts from other crypto exchanges were spotted in search results. “Ads promoting cryptocurrencies and related content are not allowed to be advertised via Google Ads. Please feel free to reach out if you have additional questions or concerns, Vivek. -Chris”. Despite Google’s announcement stating that the ban would come into force in June, it took over a month for them to realise our status as a crypto advertiser and restrict our advertising account. There are hundreds of crypto businesses advertising on Google and we imagine that it has taken them time to stop each and every one from publishing crypto ads. As the crypto industry progresses, we hope to see legitimate advertisers being given the opportunity to advertise with Google once again. Support and encouragement from such established and globally recognised companies is crucial for the crypto industry, especially at this early stage in its journey. In Bitcoin’s short lifetime thus far, an entirely new sector has emerged - one which has had a positive influence in creating new jobs and economic benefits around the globe, as well as new ideas, opportunities and technologies. 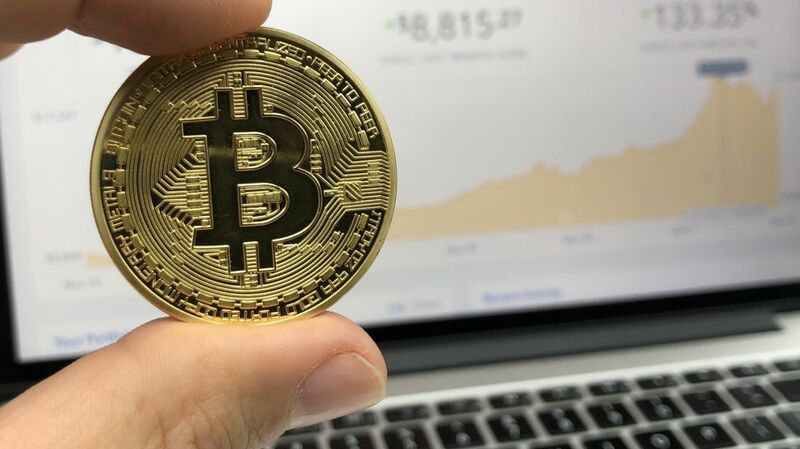 Cryptocurrency has huge potential to become a worldwide payment method and has already started an important conversation about how money is perceived now and where it could be taken in the future. It will be fascinating to see how it evolves from here… the world is watching.